Hey all you lovebirds! Valentines Day is a magical time in Kennebunkport, when locals “Paint the Town Red”. You should treat your sweetheart to for V Day in KPT. 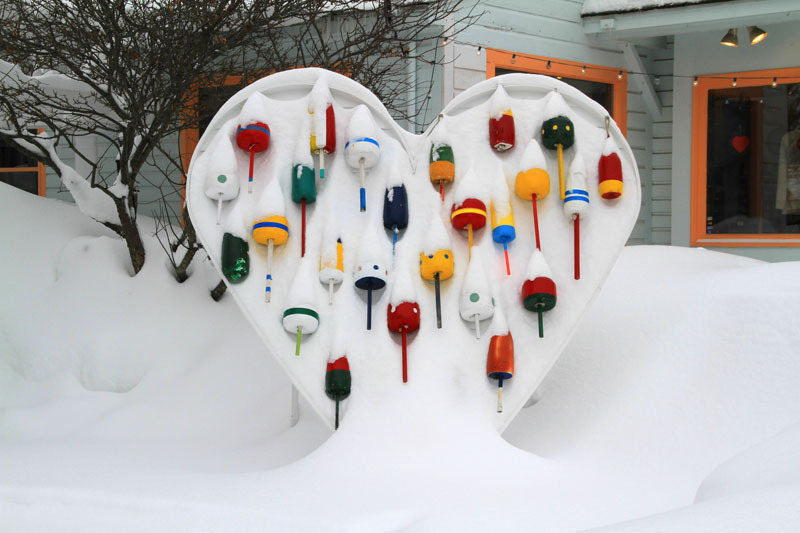 In Kennebunkport, “February is for Lovers“. Lovebirds flock to Kennebunkport every year for a romantic getaway. Our coastal Maine village has managed to turn the coldest month of the year into a time of romantic winter retreat. Of course, the colder it gets, the more reason to snuggle up with your sweetheart. Kennebunkport Festival – Over a Decade of Food, Wine, Dine, Fun! Ocean views, cocktails, art, brews and tunes, served at the finest homes in Kennebunkport – those are ingredients to the best food & wine festival in Maine. Now in its 15th year, the Kennebunkport Festival is the first week of June in Kennebunk and Kennebunkport, June 3-9, 2019. If you love food, wine, art and drinking in the ocean views, you will love this fest. Originally called the Fine Food Wine and Art Festival, it is now called the Kennebunkport Festival – and its once again fun by locals for locals, as it was originated in 2004! What to do in a Kennebunkport weekend? What is the Franciscan Monastery of Kennebunk? The Kennebunks are small seaside towns, Kennebunkport, Kennebunk and Cape Porpoise. with a population of about 14,000. Even witthe the summer popularity as a resort town, you won’t be stuck in traffic for hours, you can feel safe walking at night, you can see the stars at dusk, and you can take a breath of fresh air. Yet despite being rather small towns, Kennebunk and Kennebunkport can have a fun festive vibrant atmosphere, therer’s always something happpening…. Winter vacation in Maine, you may think of skiing and snowboarding at Sunday River or Sugarloaf, ice skating in Portland at Deering Oaks, or snowshoeing and cross-country skiing in the vast wilderness of Maine. Kennebunkport is a witner wonderland from December to March, with nearby cross coutnry skiing, ice skating in Kennebunk, snowshoeing, beach walks by the glimmering blue sea, and best of all – great lodging rates during Kennebunkport’s “off-season” at cozy BnBs and spa hotels. Welcome to the Port News Blog!